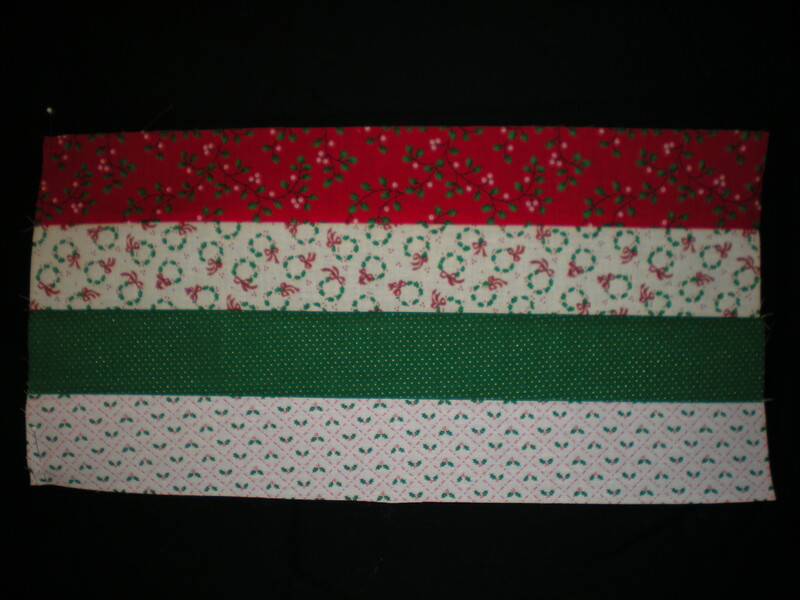 Cut four strips of Christmas fabric, two, light, two dark measuring 2 1/2″ x 17 1/2″. Sew together alternating light and dark fabrics. 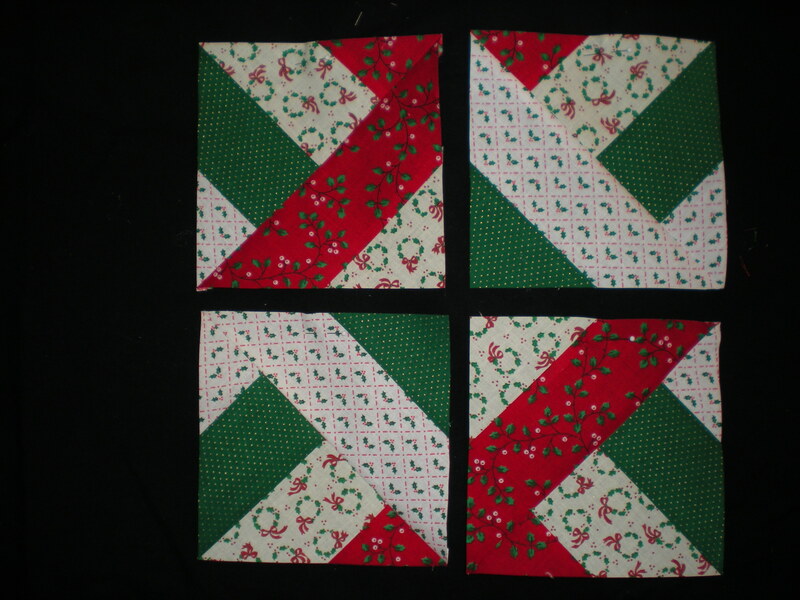 Divide into two 8 1/2″ squares. 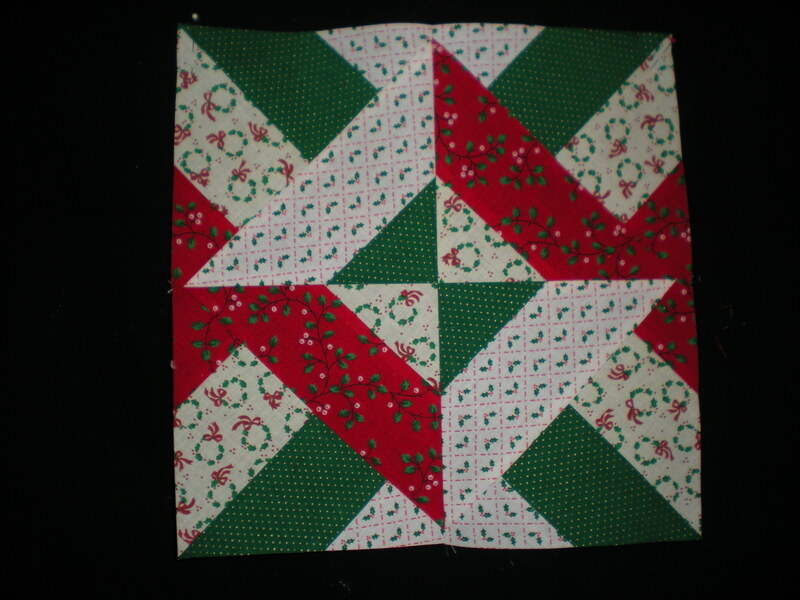 Cut each square twice diagonally as shown in photo. 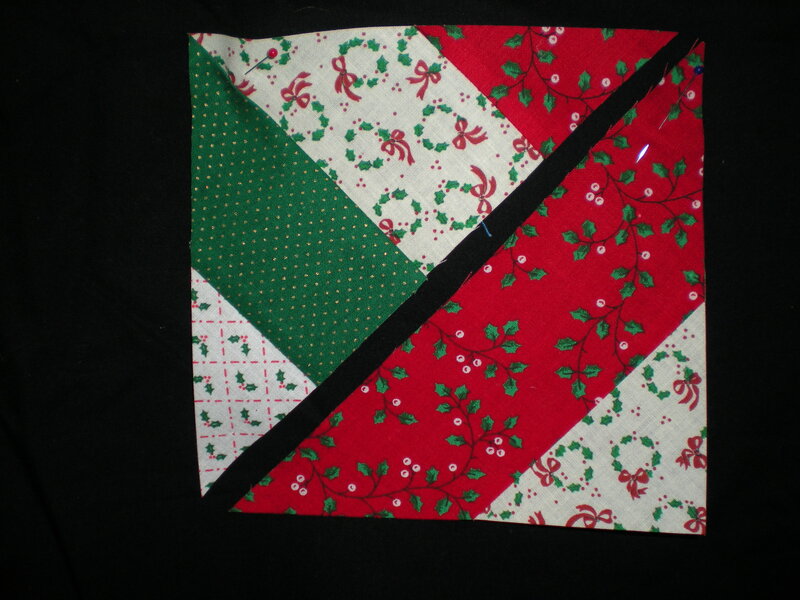 Sew pieces together as shown in next photo. you will have four squares. SQUARE UP TO 5 1/2″. 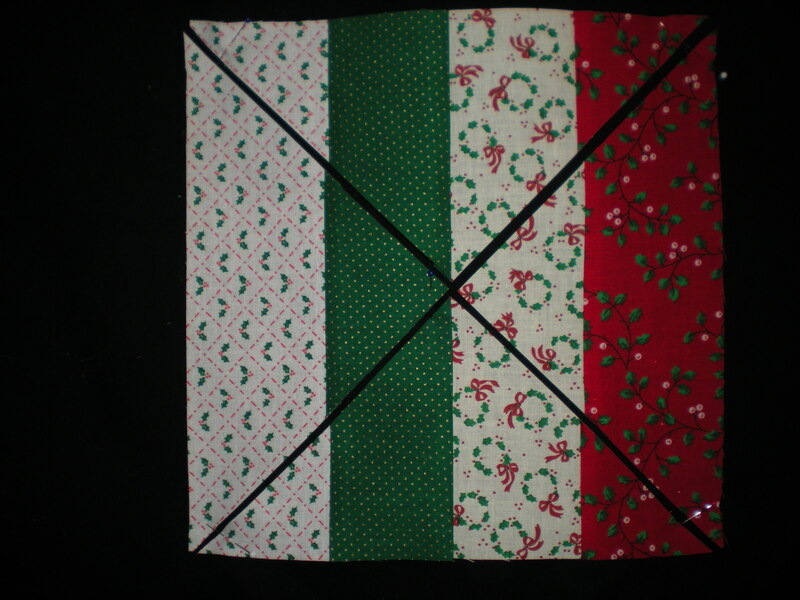 Sew squares together as shown in last photo. Finished square should measure 10 1/2″. DON’T FORGET TO USE A SCANT 1/4″ SEAM.